This is an initiative which stems from the pilot NDP currently under preparation by the five Parish Councils of Maker with Rame, Millbrook, St John, Antony and Sheviock. The NDP is to be completed and adopted by Cornwall County in accordance with the timetable laid down by the Localism Act. 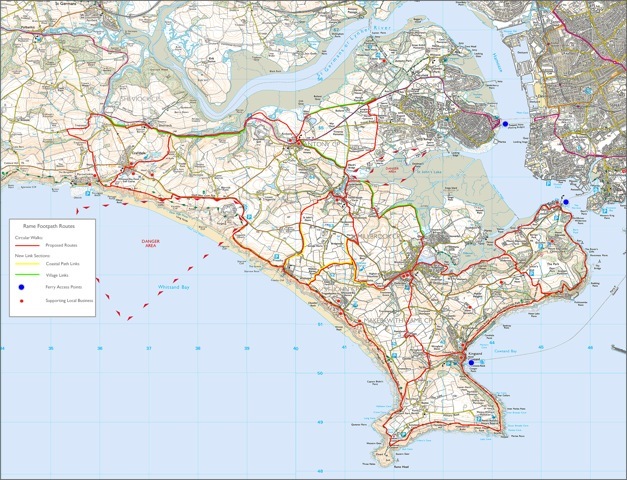 The intention of the project is to develop, in the five parishes, a wider system of footpaths and bridleways throughout the entire peninsula, both intra and inter-parish. It is envisaged that an application for an initial grant under the Local Action for Rural Communities is being made through Sheviock PC on behalf of the Cluster of the five parishes. This grant will finance the initial study and business plan to enable a formal application, in September 2012, for project capital funding. The project is to be completed by September 2013. Alternatively there may be scope to apply for funding through Paths4Communities which is a new grant system covering footpaths and bridleways. The Rame Peninsula is a distinct and beautiful rural area both appreciated by residents and visitors. The area is bounded by the major AONBs of the Tamar/Lynher Estuary and the Maker/Rame area, which includes Mount Edgecombe house and gardens. The coastal section is designated Heritage Coast and the estuary in St John Lake is designated SSSI. The whole of the peninsula is also AGLV and St John village is also a Conservation Area. The peninsula has limited transport infrastructure, with only two class A roads. Entry of cars into the area is constrained by the Torpoint Ferry and some difficult narrow sections of minor roads. There are good pedestrian ferry links from Plymouth into Cremyll and Cawsand, and their continued development will be encouraged in the Neighbourhood Development Plan. Tourism is very important to the local community and many small businesses rely on the holiday and day visitors. Most of the tourists visit the coastal areas around Mount Edgecombe, Kingsand, Cawsand, Whitsands beaches and Portwrinkle, and Antony House on the Lynher Estuary. Support visitor growth by providing walking links between the southern coastal areas and the northern Lynher AONB, and thus opening up the interior of the peninsula. Provide more incentive for visitors to come to the peninsula by ferry, thus relieving traffic problems whilst still increasing the visitor numbers. Support local businesses through increased visitor numbers, e.g. enabling local public houses to benefit from easier access for customers. Widen the appeal of the historic value of the area by improving access to heritage sites. Enable residents to better enjoy the local environment without the need to drive and park near the current walking areas. Generate local skills and improved ownership of footpaths in which local people can take pride. The project will meet all four of the Objectives of the East Cornwall Local Development Strategy, as it will increase sustainability and social cohesion, it will support local tourist businesses, will increase local skills to enable better ownership of footpaths by the community and promote the local environment and heritage sites. Conservation and upgrading the rural heritage. The project will identify the existing condition of the currently accessible footpaths and extend these to recover the historical paths that have been lost through access and neglect. The paths at present in Maker & Rame and Millbrook parish are well developed and include the SW Coastal Path, with National Trust areas well signposted and maintained. The parishes of Sheviock, St John and Antony have some excellent footpaths but require further development and linking to provide circular routes for local people and to enable visitors to appreciate the beauty of the entire peninsula. 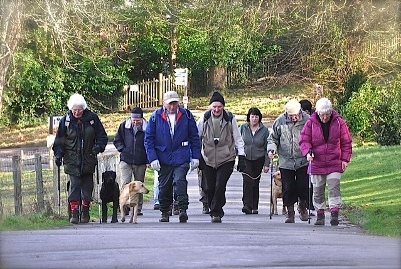 The provision of more circular walks will support local pubs, cafes, B&Bs etc. 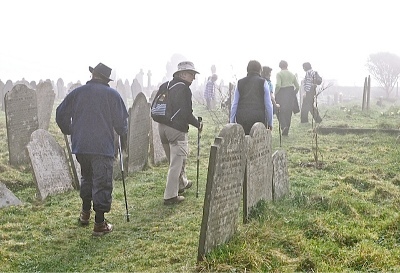 It is envisaged that a vastly improved signing and mapping, supported by a website will eventually raise the appeal of the Rame Peninsula as a pilgrimage for walkers. A parish survey in St John in 2012 indicated huge (over 90%) support and interest in developing and improving the local footpath heritage. Similar surveys are being undertaken and the it is anticipated that this Footpath initiative will be an integral part of the Neighbourhood Development Plan.